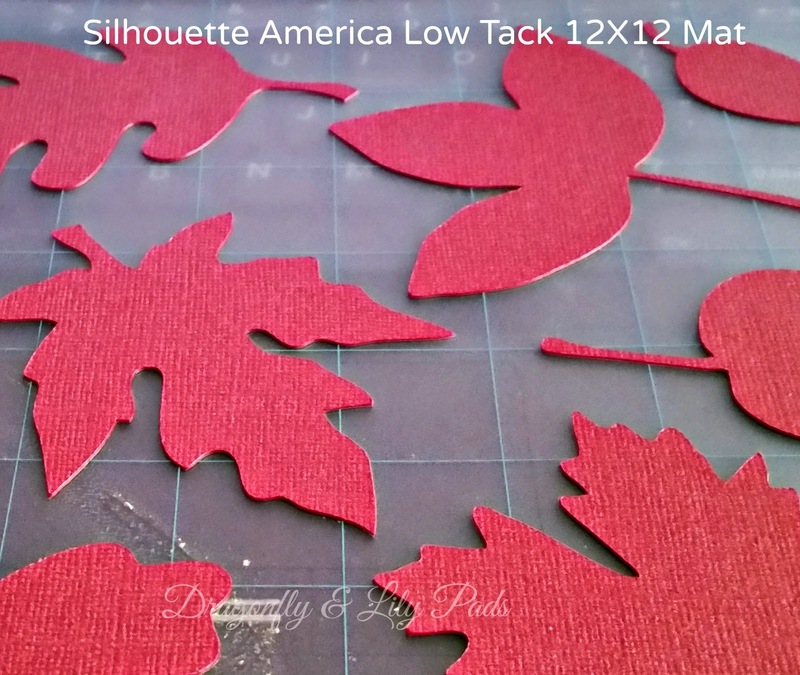 One group of leaf shapes from the +Silhouette America Store: 99 cents. I selected the cut settings according to the directions. I did decide to set double cut and instead of setting the blade to 4, I set it to 5 since I used high quality cardstock. I left the remaining settings as they were programed. I wanted crisp clean edges. As you can see these changes gave me my desired effect. The Low Tack cutting mat helped with the speed of the project as well as keeping the paper from curling. 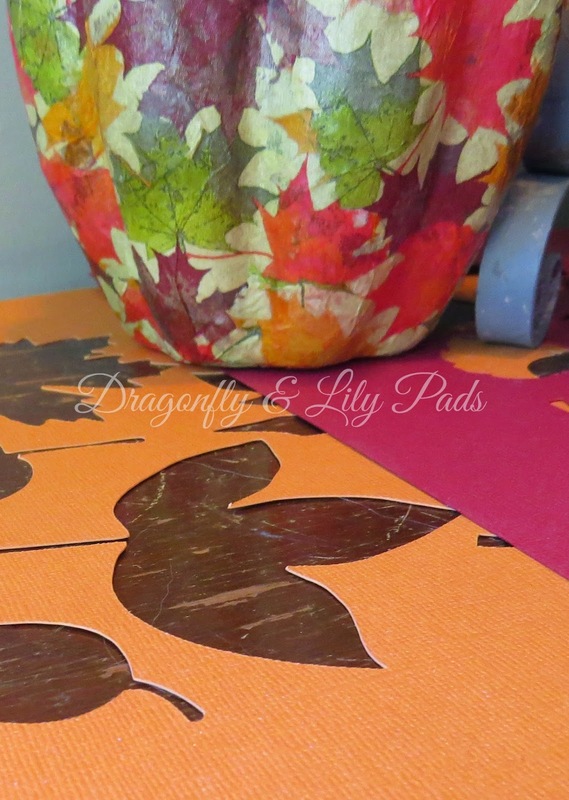 The remaining paper can be used for stencils, Table mats, or cut into shapes and added to other paper projects. 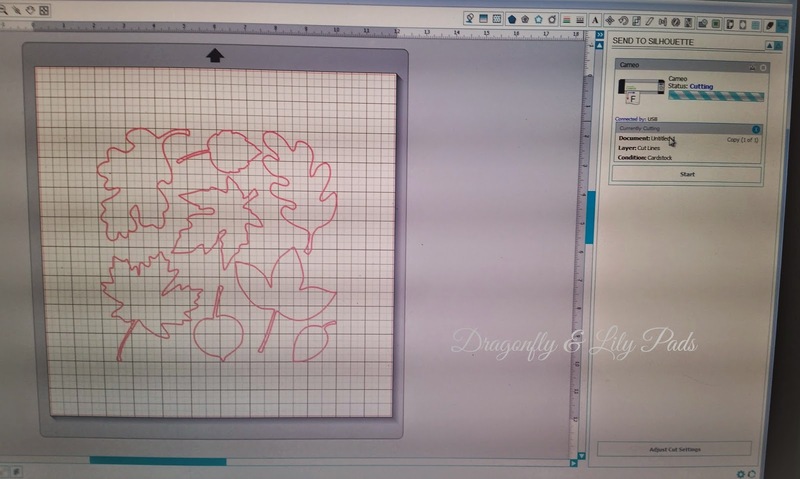 A sample project would be a greeting card, scrapbooking, spraying fabric or tracing shapes to make a design. I love when nothing goes to waste! 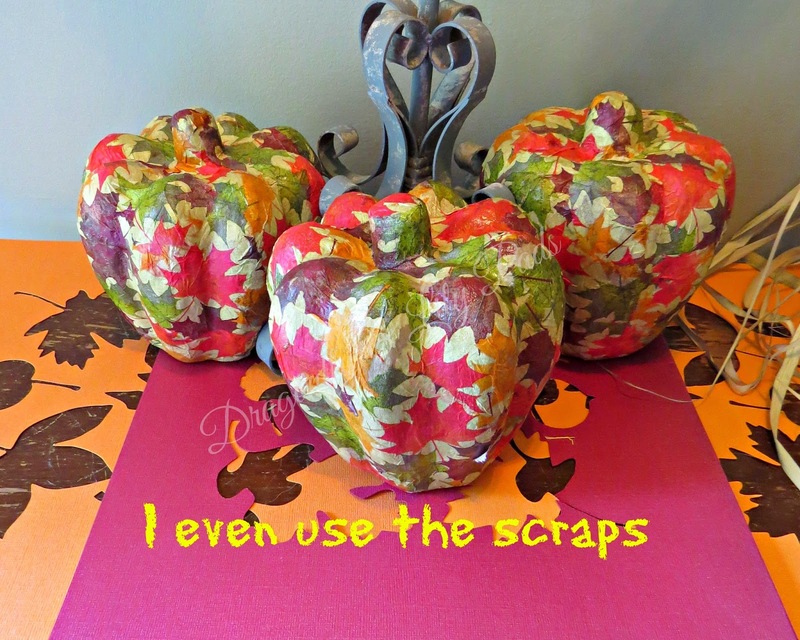 :) The +Mod Podge Pumpkins will be featured on the Live Creatively Inspired blog post this Wednesday. The Shabby Table lends itself well to the texture of the leaf. Extending a Warm Welcome to my Harvest Home! 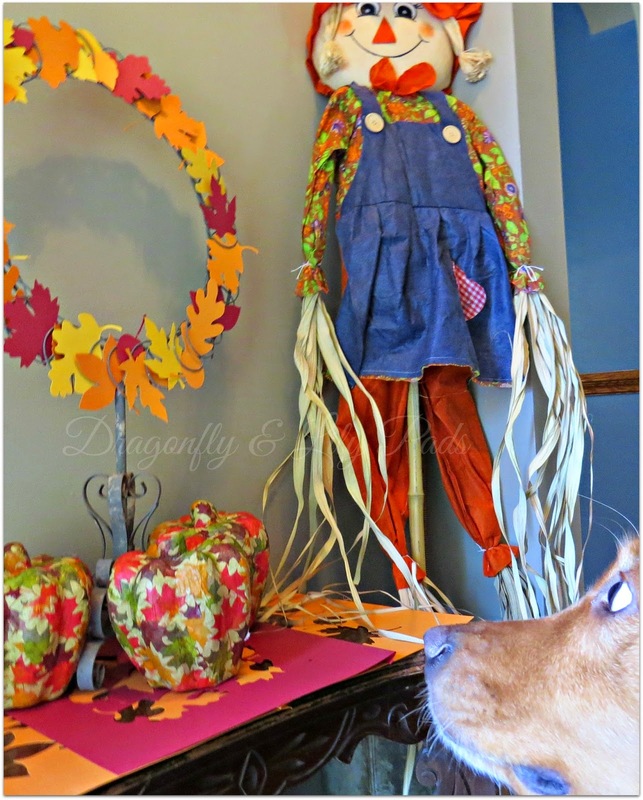 Cricket Lovin' the Fall October Decor! I am filled with anticipation this month as this marks my One Year Blogiversary! This year has been amazing, toppling my goals one by one, making friends, learning, growing and teaching a few tips too. The Silhouette Challenge group was the first group, that I joined as a blogger. In a few short moments of chatting, with this machine driven group, I knew I was in the right place. I felt welcomed and at ease to ask any question about the group, or my +Silhouette America Cameo. They have definitely brought me to my "A" game. The group is there for moral support, answers to how the machine operates, and my favorite font questions. Thank you to each one of you for helping me become better at building my dream. Great Job Karen! Loving all of the fall colors!! 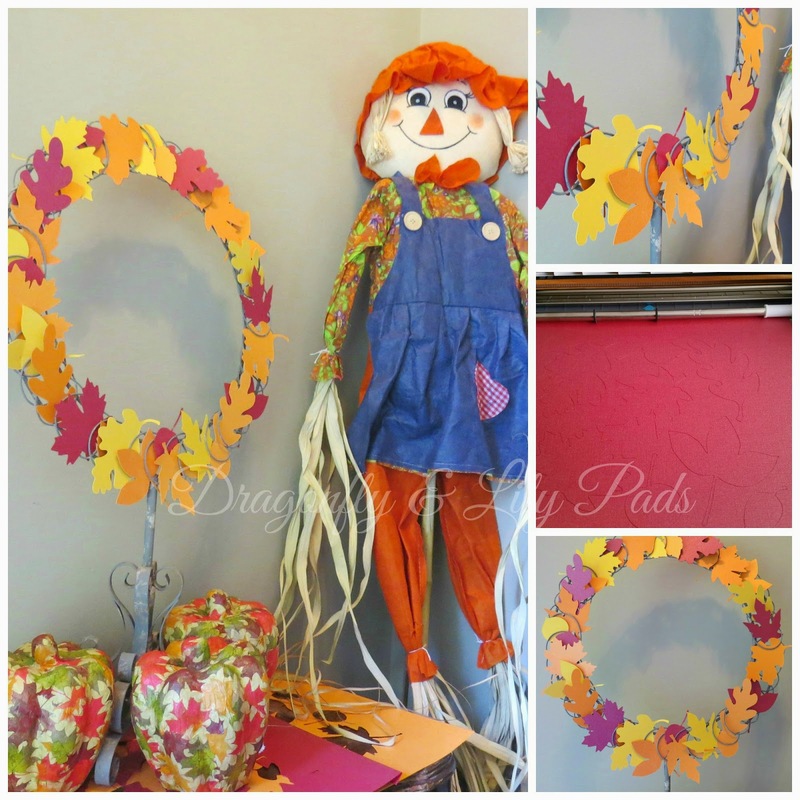 What a lovely wreath, Joyce! So simple, but the colors capture the essence of fall. And congrats on the 1 year anniversary...the first of many I'm sure! Hi Karen. I love your wreath. Your color selection for the paper was great. I have custom settings for bazill cardstock too. thank you for your sweet compliment. It is amazing what you can do with 5 sheets of paper and Silhouette Cameo machine. Thank you for the Sweet comment. I am sure there will be many more years of Blogiversaries with the support of people like you. Thank you for noticing my color selection. Love my Bazzill paper. What other papers do you like? I am glad you liked my decorations for fall. The Pumpkin project will be on the link from LCI on the post tomorrow morning. Please stop by it is a collaborative blog I work with too. I really appreciate this post. I have so many ideas for my Silhouette but really struggle figuring it all out. Any help is appreciated. The wreath is so cute! You are welcome to ask me anytime. I will email you my contact information to make it easy. I love my Silhouette Cameo and have created gifts, decorations, and personalized many different items too. Thank you for your sweet compliment. You made my day.